April | 2012 | GoWests! There is an itch, and we get to be a part of scratching it!! After Jesus rose from the dead, he directed us to go into all the world and MAKE DISCIPLES of all nations. Our EQUIP program is a response to this Great Commission – scratching the itch so to speak – as there is a desperate need for leadership training in the area of discipleship in eastern Europe and Russia. Currently we are midway through the EQUIP “Multiplier” – a leadership school focused on equipping trainers. 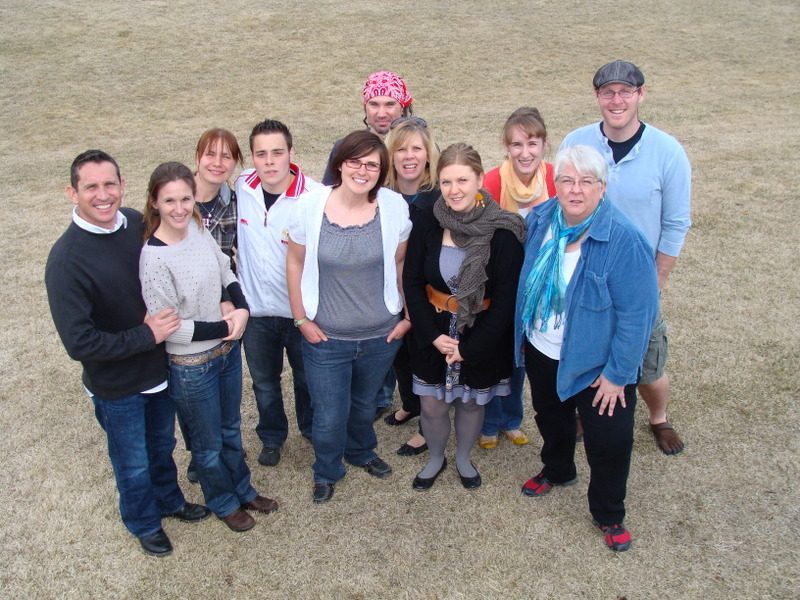 We are extremely pleased to share with you about the team of people we have in this program. Leaders from many parts of Ukraine and Russia have come to Lakeside for 6 weeks of training. The really exciting part is that this crew will be multiplying the Equip program in Ukraine – to be a resource for Eastern Europe and Russia! We are so impressed by the caliber of people and their long term commitment in their region. They are planning to run the first DTS Equip in Ternopil, Ukraine in 2013. We think this calls for celebration!! A big THANK YOU to those who pray for us and support us financially. You are a huge part of our team, and this is your fruit too!! Join us in praying for effective leadership development and disciples to be multiplied through these saints in Eastern Europe and Russia! It sure has been an exciting first quarter of 2012 for our family! 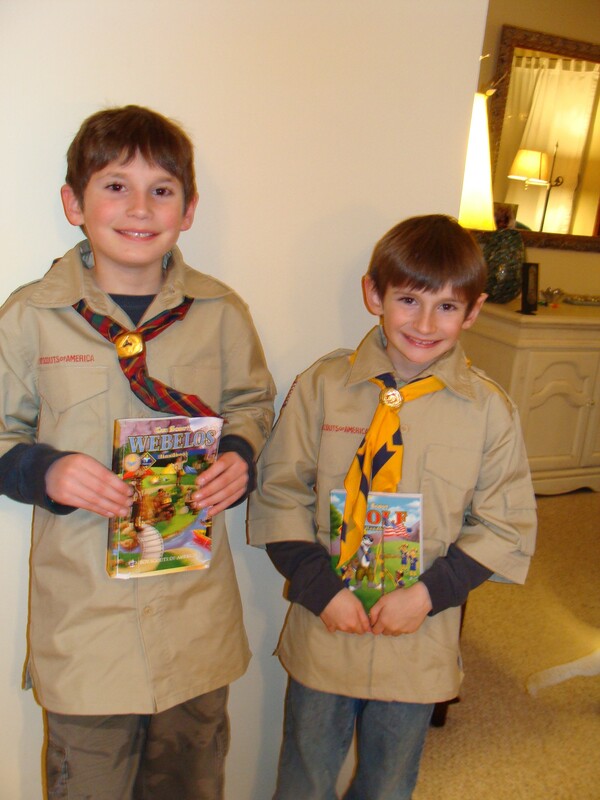 In February, Samuel turned 10 and Joel turned 8. 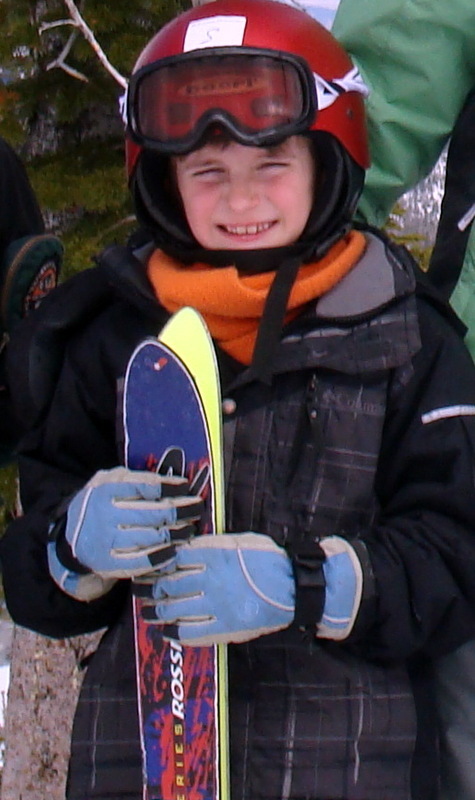 We took them up our local ski mountain for lessons – Joel in skiing, and Samuel in snowboarding. They were awesome! Joel says skiing was really fun and easy =), and Samuel persevered a tough but fun first time on a snowboard. Last month Samuel placed 2nd in his school science fair!! 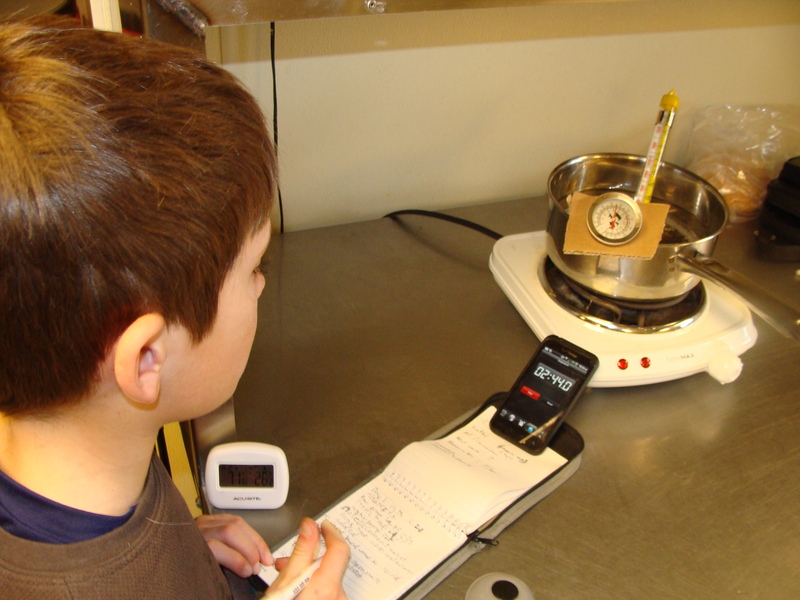 His project was called, “Boiling up the Mountain”, and he researched the way elevation affects the boiling point of water. So we may have another budding scientist in the family! Samuel also loves learning music on the recorder. He is progressing so well and really loves to play…Ode to Joy, Oh when the Saints, America…, and we love to listen!! He is in the top two of 60 fourth graders. But what I love most about Samuel (this month) is the grateful heart I see naturally coming out of him. He is absolutely awesome at saying, “Thank you, thanks Dad, thanks Mom”, thanking people in stores, even thanking his brother and sister. Then there is Eden, aka Bossy Boots, Dolly, Princess, the Pink Explosion, Peanut, and Missy Moo! In Preschool, she is perfecting her letters and enjoying story time and art the most. Eden loves coloring, playing house, bossing the dog around (since she is older than him! 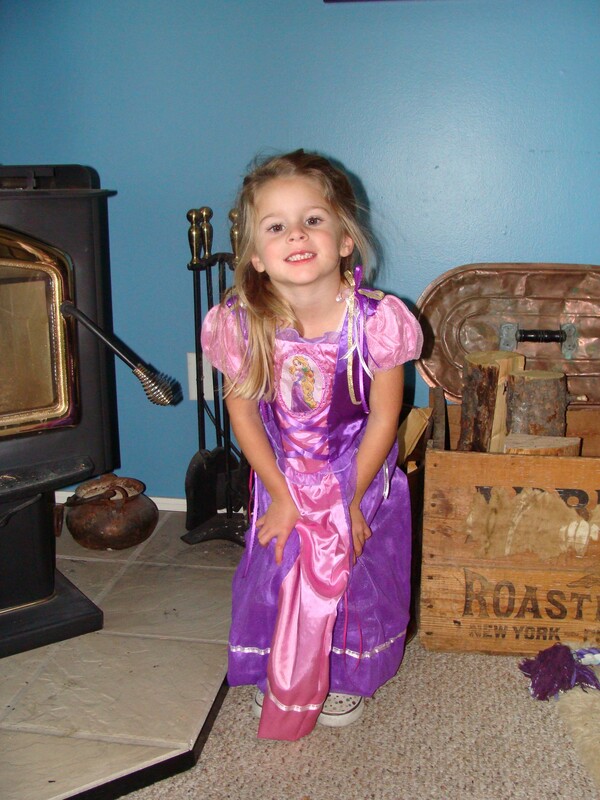 ), playing with her Rapunzel doll while wearing her Rapunzel dress, and helping Mommy cook. If I grab the garlic, she grabs the garlic press. If I scoop out four, she brings the mixing spoon. I have an awesome assistant!! What I love most about Eden (this month), is how she reminds me daily through her actions that time spent together is time best spent!! 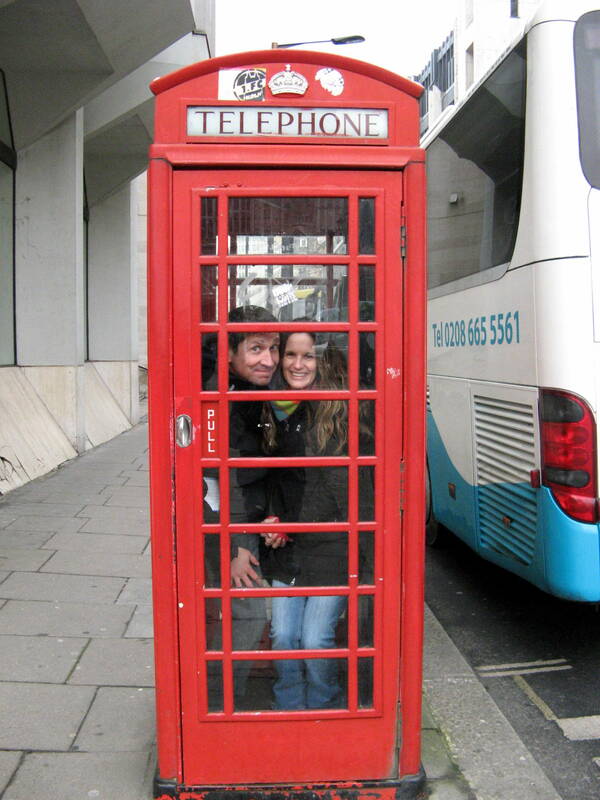 As we were in England last month for meetings, Jeremy and I got 2 days in London to enjoy the city!! We were able to float down the Thames, tour the Tower of London, appreciate the grandeur of Westminster Abbey and Buckingham Palace, saw a show in the West End, chillax in a couple of British pubs, ride in red double decker buses, travel underground in the tube (pronounced “chewb”), pass through the Queen’s Galleria to see a most amazing exhibition on Sir Ernest Shalckelton and Scott, and race through the British Museum. We were blessed to stay with friends we worked with in Kona years ago. Love how our work gives us lifelong friends around the globe! And let’s us travel the globe!